Saturday, 25 July from 8:00pm to 2:00 am and Sunday, 26 July from 6:00pm to 2:00am. Ancient arts and professions, monks, pilgrim, weapon exercises, nobles, merchants, settlers, drummers and dancers arrange to meet in the court. At sunset, musicians, astronomers, fortune-tellers, fire-eaters, jesters and falconers will liven up the place involving the public in their shows. Settlers and citizens of the duchy and the Venetian area are invited to the Marciliana festival. On the occasion of this festival, La Corte Hotel makes available its spaces (indoor and outdoor) to accommodate all travellers and guests willing to immerse in medieval-flavour food. The objective is to rediscover the true ancient flavours that characterized the XV century. The hotel takes the name of “Taberna San Leonardo” (S. Leonard Inn) and offers a typical medieval menu, in which peasant food and noble food are served together in memory of monks, gastalds and peasants who worked together to make the lands of the area fertile (around 1300 fields), which once were marshy and after the recovery became vineyards and cereals or tobacco fields. The menu is called “Traveller’s dish” to commemorate the ancient inns once full of travellers who stopped there to eat and rest after long exhausting journeys. The Marciliana festival will take place on Saturday, 25 July from 8:00pm to 2:00am and Sunday, 26 July from 6:00pm to 2:00am. The La Corte Hotel in Correzzola (Padua) is a beautiful XVI century historic residence, an ancient court where Benedictine monks lived for more than three hundred years. In 2000, it was restored and turned into a comfortable B&B. Thanks to its location near Venice, Chioggia and Padua, you can easily reach historical cities like Este, Montagnana and Monselice. As to food service, there is a trattoria (traditional Italian restaurant) close to the court offering local Veneto cookery. 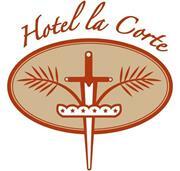 The La Corte Hotel is a historical residence situated in Padua hinterland. It’s surrounded by a wide garden and offers a professional B&B service. Masterly restored, it offers comfortable accommodation in a fascinating historical environment near to the cities of Padua, Venice and Chioggia. The Ancient Romans called the area “Corrigium”, that is “strip of land emerged from the waters”, which later became Correzzola. After the fall of the Roman Empire, the area was abandoned until the arrival, during the Middle Ages, of the Benedictine monks coming from the Saint Giustina monastery of Padua. The monks began a long-lasting and patient reclaim work, transforming these valleys in healthy and prolific lands. During the XVI century, the whole land was divided into five “gastaldie” (the equivalent of the English “demesne”, that is a portion of a land) and, in order to manage them, the monks built the majestic Benedectine Court of Correzzola, which belonged to them until the Napoleonic requisition. At the beginning of the nineteenth century, the land and the court became property of the Milanese family of Melzi D’Eryl. We are located in Padua hinterland, in Correzzola (PD), street Petit Foret 6, near river Bacchiglione, 25km away from Padua, 20km from Chioggia, 35km from Venice and 30km from Delta del Po Park. The closest train stop is 3km away (in Pontelongo) and the highway is 20km far. Informative brochures are available in English and Italian. The comfortable and well-kept bedrooms have a choice of either two, three or four beds. In all, there are 20 rooms, of which 8 have all the available services (TV, bathroom, air conditioning), while the others (economy bedrooms) have floor-shared services. Communal areas: the building offers a reading room and a rich book collection available thanks to the town library, TV room and free Wi-Fi connection. The Hotel offers a Bed-and-Breakfast service with buffet breakfast including sweet and savoury food, juice… all with great attention to the quality of the food. Breakfast can also be brought directly in room on demand. We rent bikes: the area offers numerous excursions, for which a touring guide is available on demand. For relaxing strolls lovers, we suggest to take a walk along the bank of the river Bacchiglione. The food service is available through a trattoria (typical Italian restaurant) in the close proximity and several others are just nearby, all of which can satisfy all kind of necessities. Just a few kilometres away there is a fitness pool and 10km away there is a swimming pool, ideal for swimming lovers. In that building several services like shiatsu treatments, massages, the expert advice of a naturopath skilled in chiropractic and acupressure are available. On demand, guests can ask for train tickets booking and assistance for reaching the train stop. Our building hosts mainly tourists: groups, families, individuals sojourning while visiting arts cities, Sottomarina beaches, or just living the serenity of the local area. From June to August, all Saturday evenings in the garden of the Court music shows and theatrical performances are organized in collaboration with the local administration.